How Do Pet Psychics Talk To Animals? I talked to some interspecies communicators to find out. My family’s cat, Tiger, ran away when I was around eight. We searched for a few weeks, plastering our neighborhood with “Lost Cat” signs and offering a modest reward for his return. Eventually, my mom got desperate, so she did what any modern suburban mother would do: she called a pet psychic. And not just any pet psychic — as my mother attests to this day, she called “the pet psychic that talked to the 9/11 dogs.” Despite Syracuse, New York having a population of about half a million, Animal Wellness Consultants has two offices in the suburbs outside of the city. Between proximity, “the 9/11 dogs,” and only charging $45 for a twenty-minute session, my mom was convinced they’d lend some insight into our cat’s whereabouts. 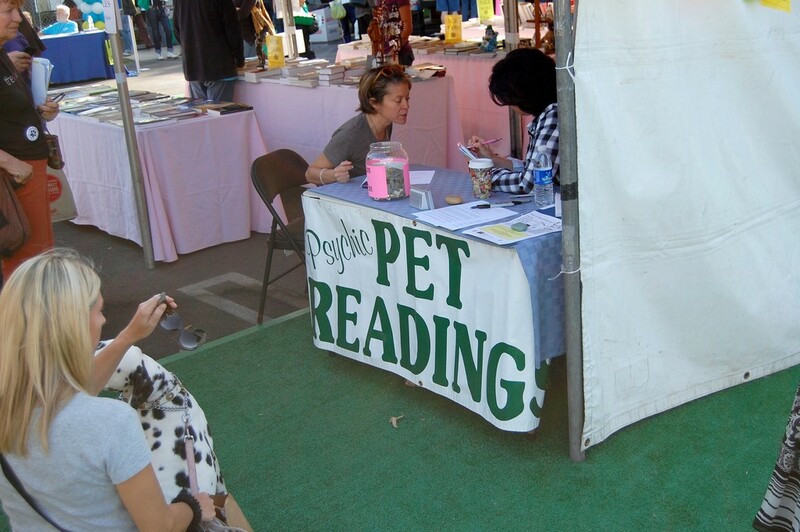 Although the pet psychic lived less than a mile from our house, pet psychic sessions take place almost entirely over the phone. My mom paced around our house on the phone, after a few pleasantries but before she had even gotten to the lost cat, my horse, who was boarded at a farm about 45 minutes away, apparently cut in to share some of his feelings. The psychic said my horse wanted us to know that blue was his favorite color but he thought that he looked much better in red. (Objectively true.) He also wanted to know what was in the cans the owners of the farm would drink when they cleaned out his stall at night. He felt left out and wanted to drink some; eventually we let him drink beer. We never found the cat. The pet psychic did say that he was safe though, so that was nice to hear. Since then, I’ve always wondered about the mechanics of being a pet psychic. It’s mostly just made me ask, over and over again, are we just assuming that animals think whatever language we speak? So I asked a bunch of pet psychics how it works. Okay, sure. Feelings are probably the same all over the world and “knowing” is pretty much indefinable but seems like a cool psychic word. But, if animals aren’t thinking in English, what exactly are they speaking in? Feelings seems like a vague answer. Lori Spagna, a California-based animal communicator, gave me a brief rundown of the various ways that animals communicate. I trusted Lori because she has an assistant. Lori told me that the role of a pet psychic isn’t exactly reading minds, it’s translating what animals are already communicating into something that humans can understand. However, she cautioned me that “it takes a whole weekend course just to learn the basics and a lifetime to really develop it and mature it.” She said that training yourself to communicate with animals is a lot like going to the gym, we all have muscles but it’s our decision whether or not to work on them. There’s different kinds of certifications in the interspecies communication world. A common one, and the one used by most of the communicators I talked to, is based around the philosophy and courses of Penelope Smith, “The Grandmother of Interspecies Communication.” While the prices of beginner courses “vary,” the more advanced seminars can cost somewhere between $500 and $1500 and a retreat will cost you about $100 a day. One animal communicator likened it to the ways that humans communicate without really noticing or speaking. Another one told me that we could all learn animal communication because it’s basically just strengthening that feeling you have when the phone rings and you just know who’s on the other line. Through all my conversations, every answer seemed to circle back to “telepathy” as a kind of catch-all for animal to human communication. But what does telepathy really mean? Spagna suggested a few different ways this telepathy could occur: developing the pineal gland and pituitary glands (two glands in our brains that secrete hormones like melatonin, but communicators believe help us understand animal instincts), tapping into theta brainwaves (a hippocampal brainwave that many animals use but humans appear to activate during sleep, meditation, and hypnosis), “extrasensory intelligence in our hearts,” our gut feelings, and extrasensory feelings in our skin — goosebumps, for example. She says that, naturally, all animals and humans have these means of communication. It’s a matter of decoding them and translating them into human language. The way the animal communicators translate this universal language depends on what “muscle” they’ve developed for telepathy; some will have physical feelings whereas others see pictures. Spagna said, “we might receive it as words, we might receive it as symbols or images or sounds or feelings of some kinds or another. But we’re translators. That’s really what animal communicators are, we’re taking information animals give us an translating it.” . If animals are always talking to us and we’re always talking to them and neither of us are really doing it on purpose, does this mean that there’s layers upon layers of communication that we’re missing out on everyday happening in our homes? Probably. That’s probably why your cat is almost always mad at you and your dog loves you unconditionally even though you’re kind of a bad pet owner sometimes, they are picking up your vibes at all times. It also means that the animals you keep around know all your awful thoughts and behaviors that you think you can get away with in the privacy of your own home. As Spagna said at the end of our conversation, animals can “tell us what we don’t know about ourselves” and “know all our secrets.” So just, like, keep that mind if you ever feel like calling a pet psychic.